Are you a service minded person who love to solve problems? At DIBS we strive to offer the best solutions for online payments. As responsible for the e-commerce offering within the Nets group we are at the forefront of online payments in the Nordic region. With the help of great people we always have the customer in focus helping our customers to make payments easy. 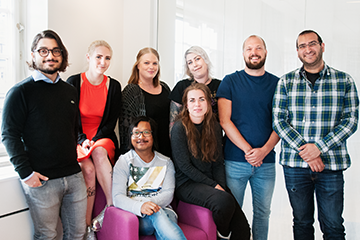 Our customer service team, located in our office in central Stockholm, is responsible for Nets Swedish e-commerce customers. We aim to handle all questions and tasks as close to the customer as possible. You will be a part of the commercial success for both small businesses and big international players. At DIBS, we continuously work on offering easy and safe online payments, so that our customers can focus on their core business. We are online payment experts and believe that by working together while having fun, we will achieve best results. Our passionate co-workers include developers, system architects, business controllers, marketers, sales and support staff as well as designers and e-commerce experts - to mention a few. Our offices are located in Stockholm, Gothenburg, Copenhagen and Oslo. Please send your application in Swedish or English right now and at the latest at 14.12.2018. If you are interested in hearing more about this opportunity don’t hesitate to contact Thomas Hindersson, +46 (0)8 527 525 37 or thomas.hindersson@dibs.se.